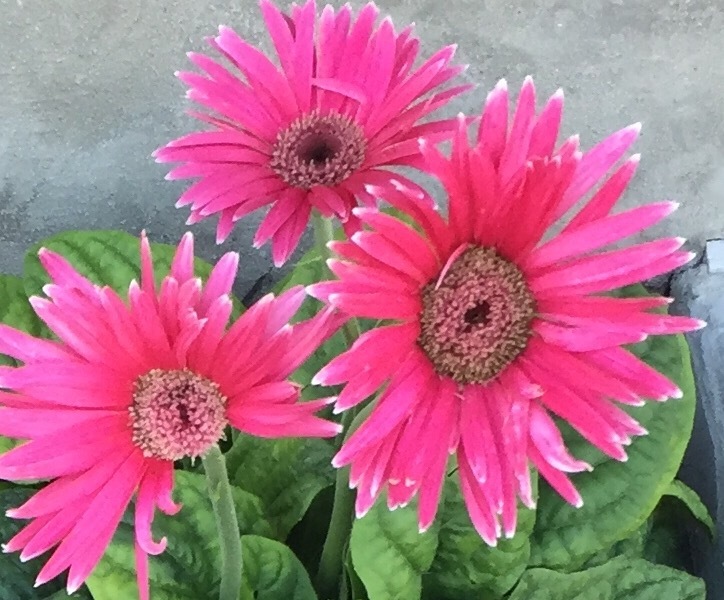 I didn’t notice it until today, but the latest blooms on my pink daisies have white tips on the petals that almost make the flowers glow. So pretty! 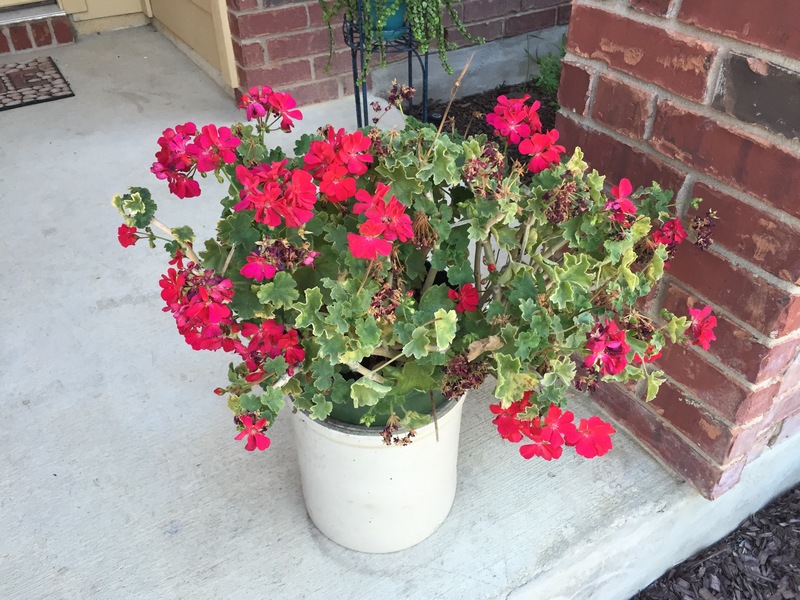 And the geranium on my front porch seems to like temperatures in the 90s over the 100s. 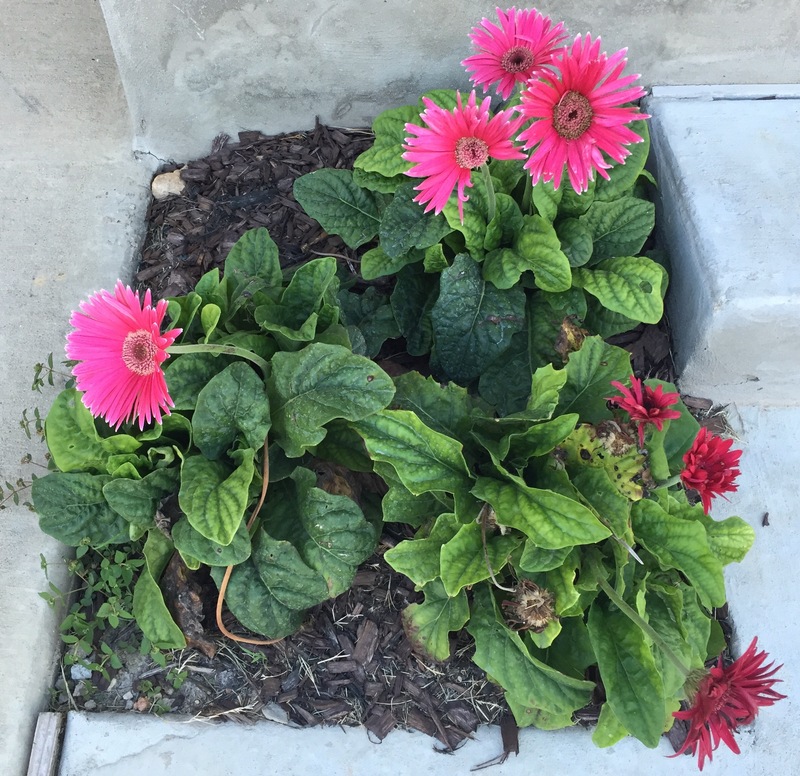 I haven’t been paying much attention to it — you can tell in the photo that I haven’t picked dead flowers off in awhile — but the fresh red blooms keep coming. 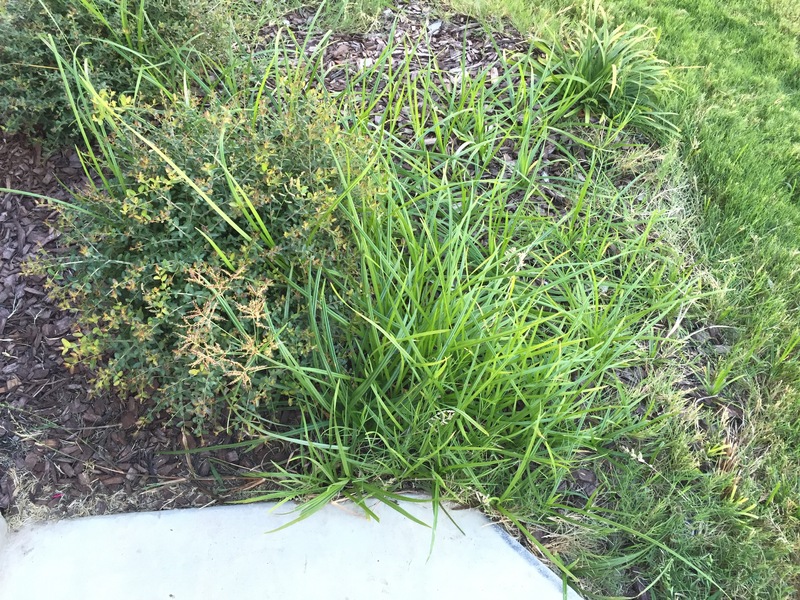 Of course, the weeds like the slightly cooler weather, too, as you can see in the photo above. The mulch really needs some cleaning out. I’ll get to it someday soon — I promise. If it’s grass weeds, better not wait. Certain varieties will take over lickety-split (Bermuda comes to mind).